This post (and visualization) is by Coleman Krawczyk, a Zooniverse Data Scientist at the ICG at the University of Portsmouth. Today we’ve added another new tool for visualizing Galaxy Zoo, this time showing the full vote path of all users for each galaxy from GZ2 onward. The first node of the visualization shows an image of the galaxy and each of the other nodes represents the answer to a question from the Galaxy Zoo decision tree, and the size of the node is proportional to the number of votes for that answer. The maximal vote path is highlighted and also shown in words across to top of the tree, and the results of the “Is there anything odd?” question are shown across the bottom. 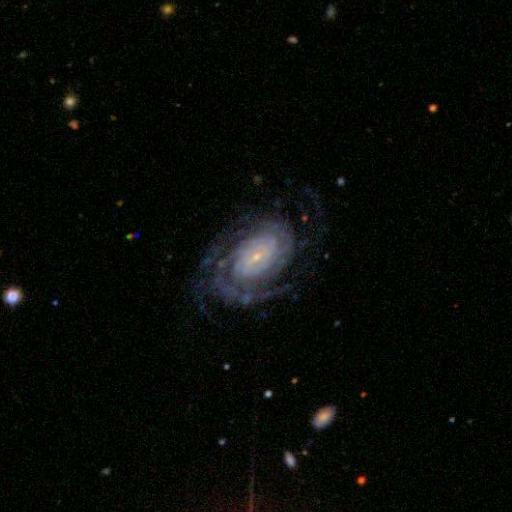 The full Galaxy Zoo catalog can be searched via Zooniverse ID (the same one used for Talk), RA and Dec, or randomly. After picking a galaxy the nodes can be moved around by clicking and dragging, and the links can be collapsed/expanded by clicking the attached nodes, both of these functions are useful for untangling complex trees. Various properties of the visualization can also be controlled with the sliders below the tree. For a guided tour of this tool click the “Take a tour” button, and for a full list of features click the “Help” button. The general look of these images should be quite familiar to our regular classifiers, and we’ve already described them in many previous posts (examples: here, here, and here), so they may not need too much explanation. 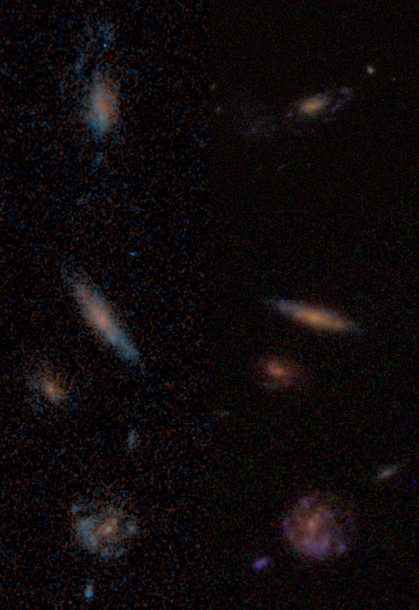 The only difference for these new images are their sensitivities: the GOODS images are made from more HST orbits and are deeper, so you should be able to better see details in a larger number of galaxies compared to HST. 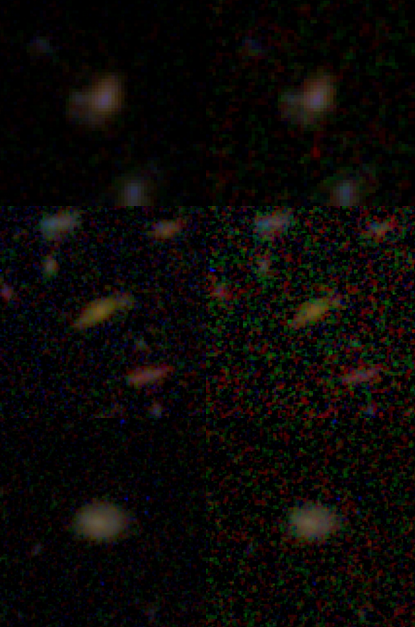 Comparison of the different sets of images from the GOODS survey taken with the Hubble Space Telescope. The left shows shallower images from GZH with only 2 sets of exposures; the right shows the new, deeper images with 5 sets of exposures now being classified. The new CANDELS images, however, are slightly shallower than before. The main reason that these are being included is to help us get data measuring the effect of brightness and imaging depth for your crowdsourced classifications. While they aren’t always as visually stunning as nearby SDSS or HST images, getting accurate data is really crucial for the science we want to do on high-redshift objects, and so we hope you’ll give the new images your best efforts. 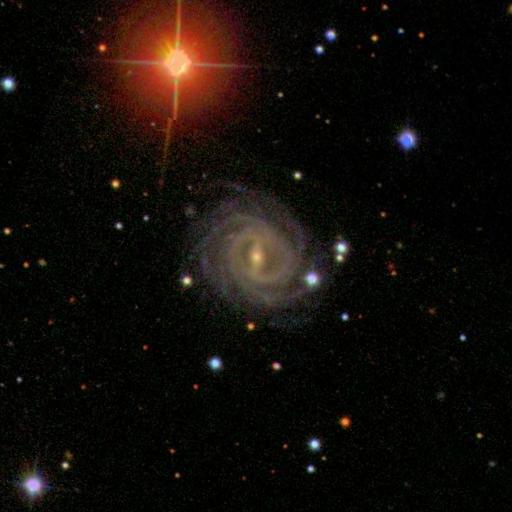 Images from the CANDELS survey with the Hubble Space Telescope. Left: deeper 5-epoch images already classified in GZ. 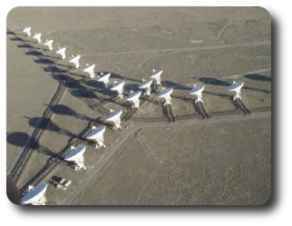 Right: the shallower 2-epoch images now being classified. 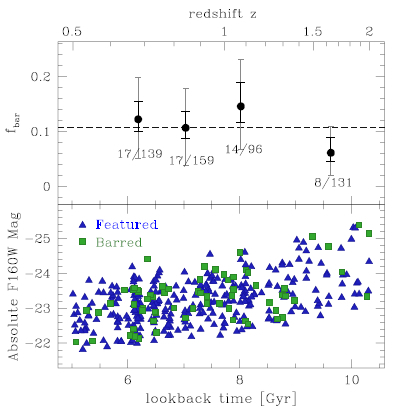 Both of these datasets are relatively small compared to the full Sloan Digital Sky Survey (SDSS) and Hubble Space Telescope (HST) sets that users have helped us with over the last several years. 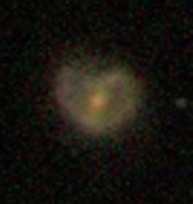 With about 13,000 total images, we hope that they’ll can be finished by the Galaxy Zoo community within a couple months. We already have more sets of data prepared for as soon as these finish – stay tuned for Part 2 coming up shortly! As always, thanks to everyone for their help – please ask the scientists or moderators here or on Talk if you have any questions! 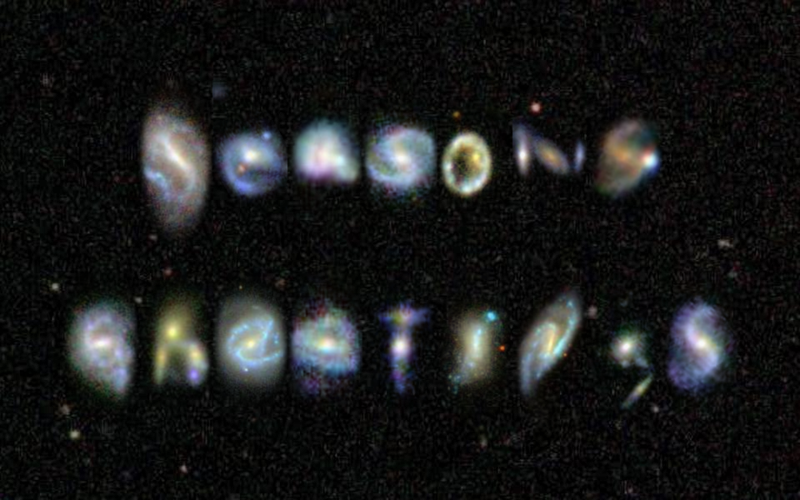 Seasons Greetings for the end of 2014, and many thanks for all the classifications you provided for us at Galaxy Zoo this year! 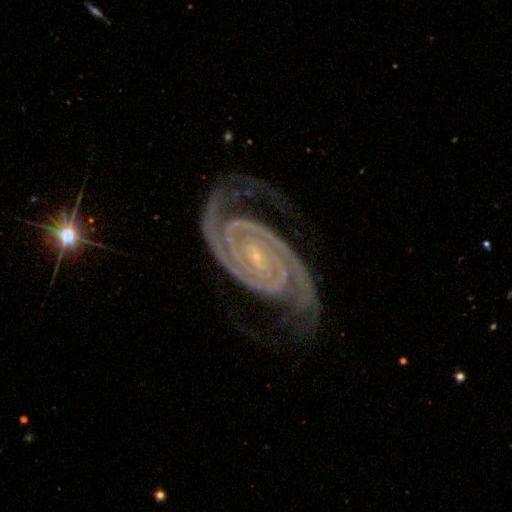 Several of the Galaxy Zoo science team are together in Taipei this week for the Citizen Science in Astronomy workshop. 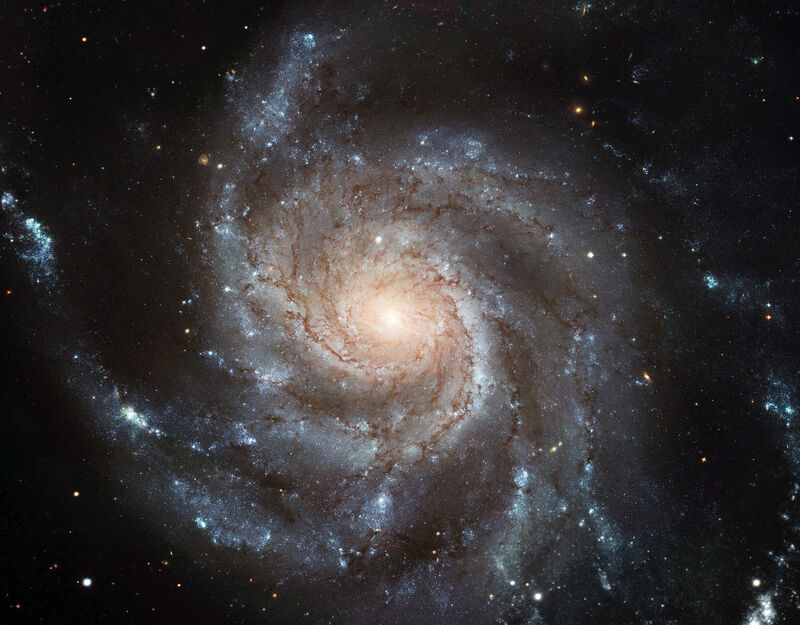 If we’ve been a bit quiet it’s because we’re all working hard to get some of the more recent Galaxy Zoo classifications together from all of your clicks into information about galaxies we can make publicly available for science. 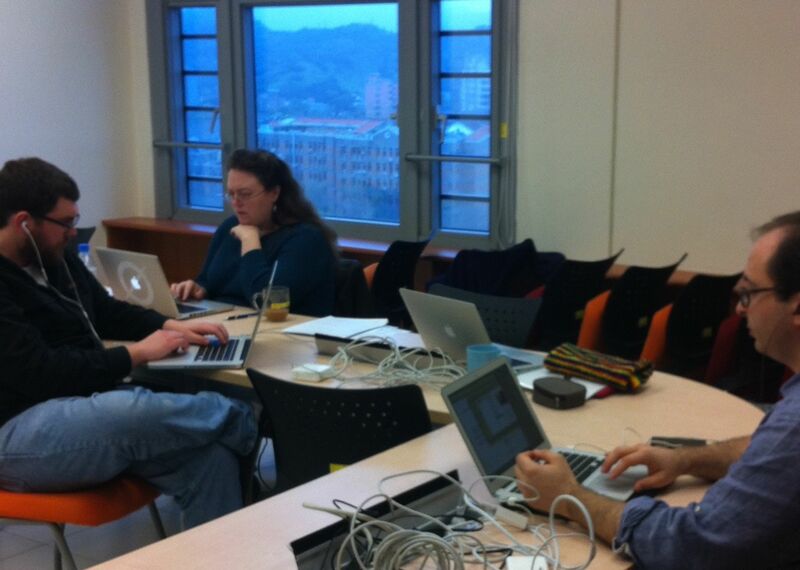 Brooke (@vrooje), Kevin (@kevinschawinski) and Zooniverse developer Ed working hard in Taipei on improvements to the process of how we turn your clicks into science papers. But we thought we’d take this opportunity of all being in the same place to run a live Hangout. 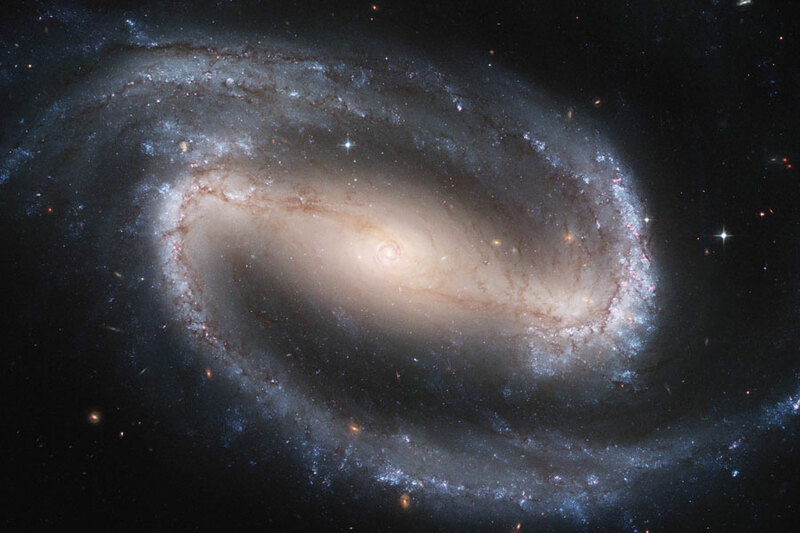 We might end up talking a bit about the process of combining multiple clicks into classifications, as well as some of the recent Galaxy Zoo science results. And we’re of course happy to take questions, either as comments below, as Tweets to @galaxyzoo or via the Google+ interface.